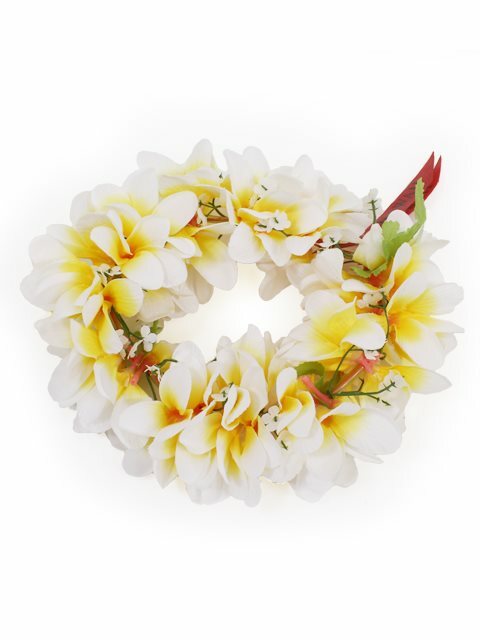 AlohaOutlet proudly presents you beautiful artificial flower headband. Our headband have great detail such that they look quite real. These headband can make a great gift for any celebratory event, such as birthdays, weddings, graduations, and promotions. Very nice, not exactly the material I expected, but very nice. Great quality with affordable price. Looks exactly like the photo. Quality is amazing for the price. Looks just as good as the photo. This haiku lei is beautiful and was perfect for the my special occasion. I really like that it was lined on the inside & adjustable for long wearing comfort. Love the vivid color, plenty of flowers.